Venus in the morning sky. When can we observe Venus? 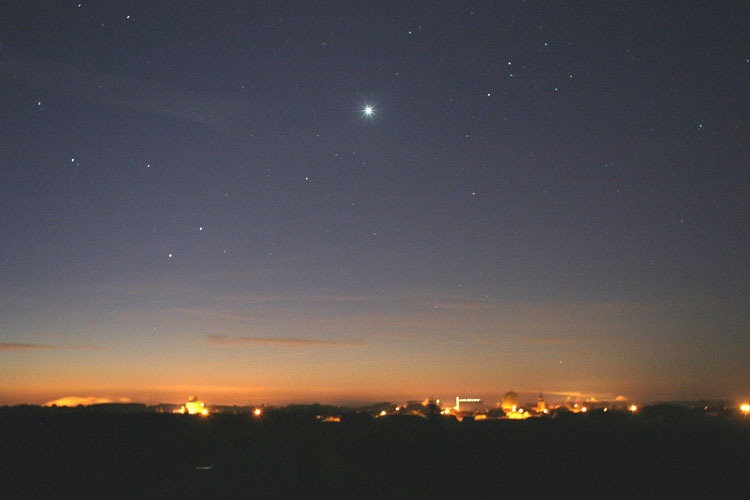 Venus will be visible in the evening, from the beginning of 2012 until the end of May. From mid-June until the end of the year, it will be possible to observe it in the morning. 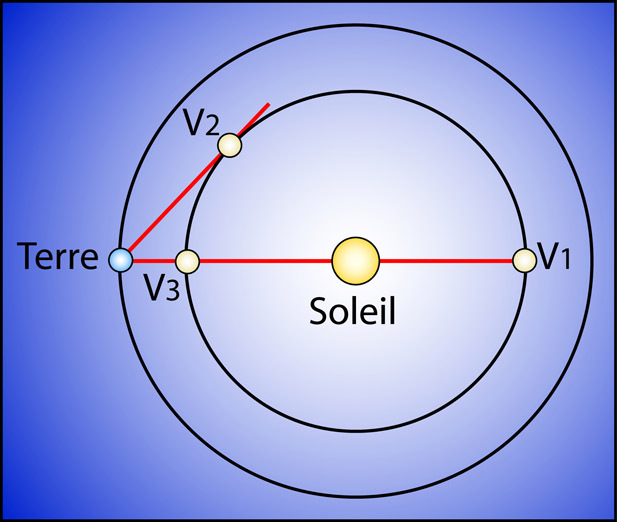 The angle between the Sun and Venus when viewed from Earth is called “elongation”. On the 27th of March, the elongation will be maximal at 46 degrees. 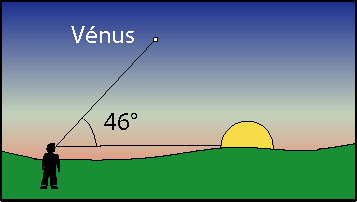 This is the moment when it is easier to observe Venus as the planet is far from the Sun and sets long after it (over 4 hours). The elongation of Venus will reach 46° on March the 27th. 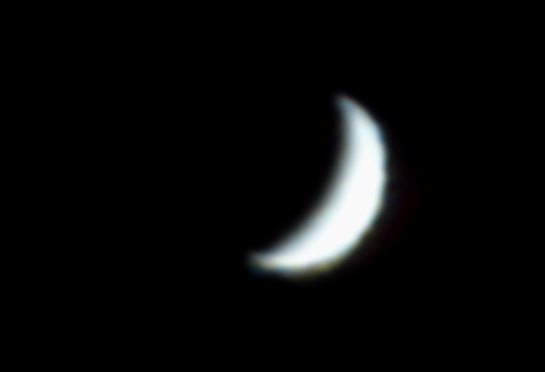 Viewed through a telescope, Venus will appear in quarter. Before the 27th of March, Venus will appear larger than a quarter when viewed through a telescope. Between the 27th of March and late May, we will be able to observe the crescent Venus becoming thinner but its diameter will increase as the planet approaches the Earth. Maximum brightness will be in late April. At that time Venus will be found in the morning sky, first as a thin crescent and then as a quarter (maximal elongation on the 15th of August 2012) Venus will be visible until the end of the year.